Cycling is a very popular sport today and I love watching the races. While the simple pedal-powered machine may lack the power of F1 and other powerful diesel-powered machines, it certainly has its own appeal to the masses. In the first place, bikes are generally affordable. Of course, there are some expensive bikes, but even the most expensive bikes are cheap compared to the cheapest motorcycles. Second, cycling is an excellent exercise. One can burn off several calories in just a few hours of biking or cycling. Finally, it is environment-friendly. Furthermore, there are several other reasons that make cycling all the more popular. Lance Armstrong, despite his steroid scandals, still is the beacon for cycling. He has made cycling known all throughout the world for his numerous victories in the Tour de France. Apart from him, there are races which act as ambassadors, thanks to the sheer grandiose and majesty of these races. They are popular for several reasons. First, they are held in the most awe-inspiring places. Second, the price for winning is huge. As a matter of fact, the price for even just being a part of the race is big enough! Finally, the physical demands of the races make them very attractive for those who wish to push the limits of their physical power. So, what are the most popular races in the world? In this article, we are going to discuss my favorites. The list is not necessarily something that is universally agreeable. As a matter of fact, there are surely some of the readers who will say that there are other races which were not included. Tour de France is arguably the most popular biking event anywhere in the world. It is made popular by the victories of certain prominent individuals, like Lance Armstrong. Armstrong has the world record for the most wins in “The Tour”. However, his victories were recently renounced because of doping allegations. While these allegations had profound effects on the life of Armstrong, it certainly made Tour de France even more popular. Basically, the race is held every July, and it cuts through the most historic places and most majestic landmarks in France and other European countries. The sheer distance, and the fact that only the most physically and psychologically fit individuals can participate in it, make this Tour de France very popular. Of course, winners of the event gain world renown. Not to mention they also get rich because of numerous endorsement deals. 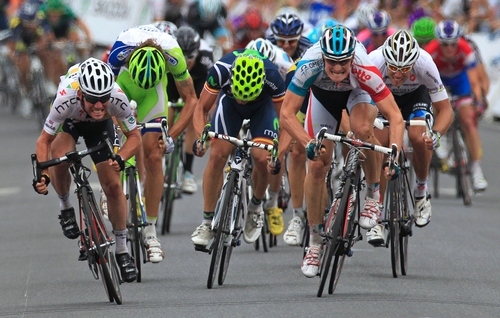 Tour Down Under, a cycling event held in Australia, is the most popular cycling race outside Europe. As a matter of fact, in this list, Tour Down Under is the only non-European contest. Started in 2005, this immediately gained followers and supporters all throughout the world, thanks in part to the sponsorship and leadership of the International Cyclists Association. The environment of Australia is naturally very demanding. Unlike in the European continent where the air is cooler, Australia is very hot. If your body is not in the right condition, you will easily fall victim to dehydration. Apart from the searing heat, the Australian continent is home to many of the world’s most venomous creatures including spiders, scorpions, and snakes! While the race does not necessarily cross the unforgiving Australian desert, it does stretch around the city of Adelaide and culminates at the center of the city. The X Games is not technically a cycling event, but it does make use of bikes and my grandson insisted I include it in the list! Basically, this uses BMX bikes which are made for physical abuse and agility. It is heavy because it needs to be, and because of the numerous suspension springs to cushion huge falls. The summer X games are most popular to adrenaline junkies. Those who love to see acrobatic bikers and daredevils, this is the event for them. The younger generations, even those who are not very fond of biking competitions, actually enjoy the X Games. The annual event attracts hundreds of thousands of spectators from the country and beyond. The landscape of New Zealand has made it a top destination for tourists. It has also become the favourite of extreme BMX bikers who love to push the limits of their bikes in the rugged terrains of the New Zealand hills and mountains. Essentially, this is the more global version of the Summer X Games. It is really hard to determine which of the two events are more popular because they have their own credits. UCI BMX World Championships is sponsored by the Union Cycliste Internationale. Vuelta a Espana may not be heard much by non-cyclists in other parts of the world, but it certainly is all over Europe. Vuelta a Espana is actually one of the oldest biking competitions having been founded in 1935 while the war that would nearly destroy the world was still brewing. This cycling event in Spain is in the same popularity category as the racing contests in France and in Italy. Sure, there are lots more but these are worthy of a mention in my book. Posted in Blog on January 14, 2014 by Rich.